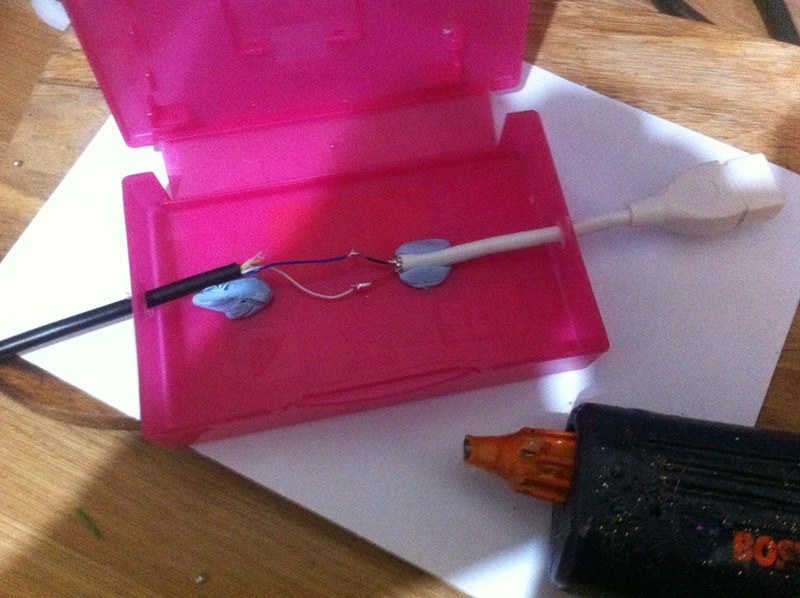 To make you own, all you need to do is use a USB socket (or cut one from a USB extension cable as I did), and connect the two outer VCC and GND pins on the socket to pins 7 (+5V) and 8 (GND) on the DB9 joystick extension cable. 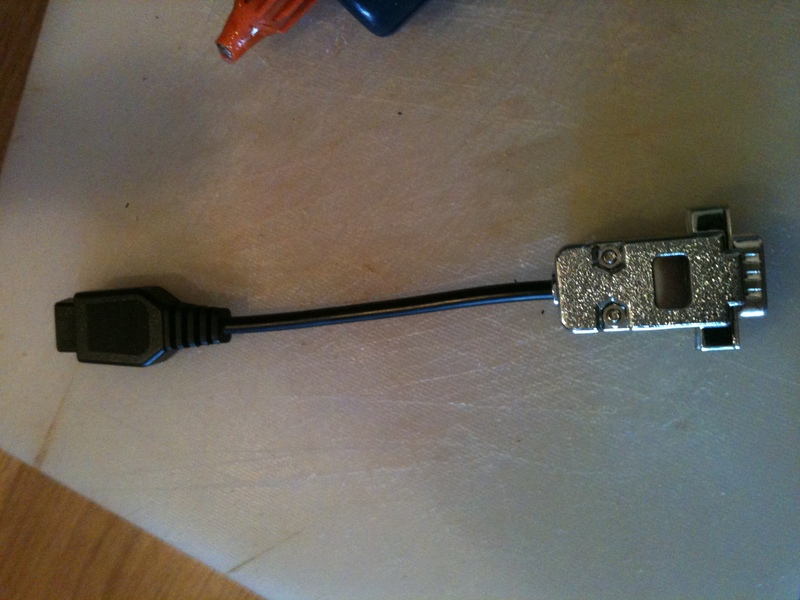 Add shrink tubing to the DB9 plug cable and solder the wires to the relevant pins on the USB socket. 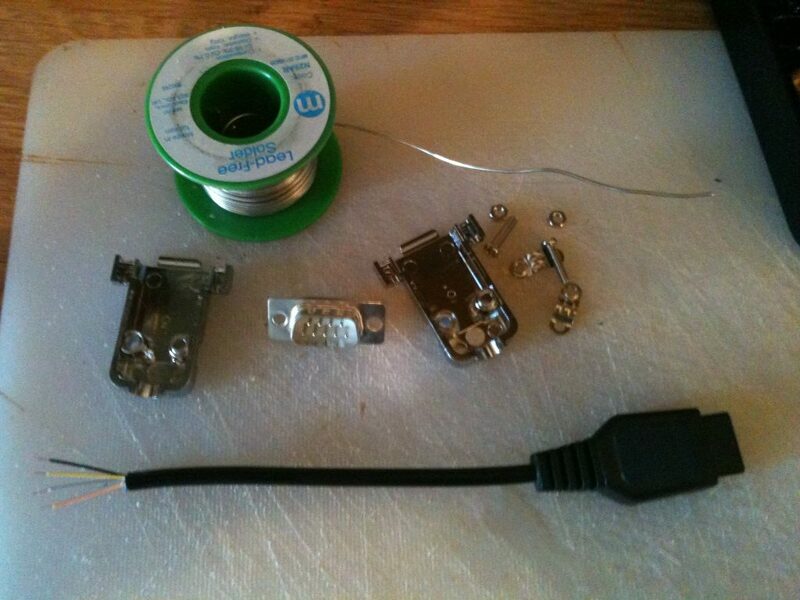 Now, you must shave the end of the plastic plug to fit the Vectrex port and you are good to go! 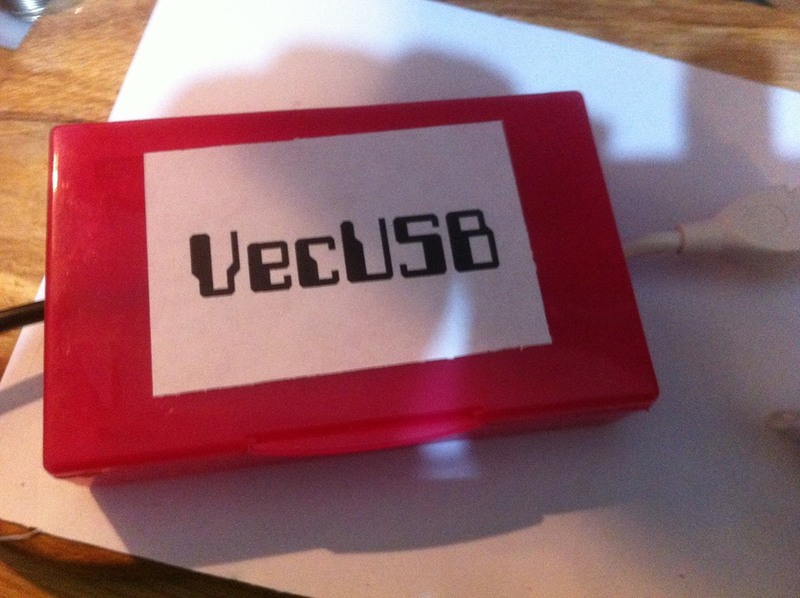 I do not accept any responsibility for damage to your Vectrex by using the USB power cable, use at your own risk! 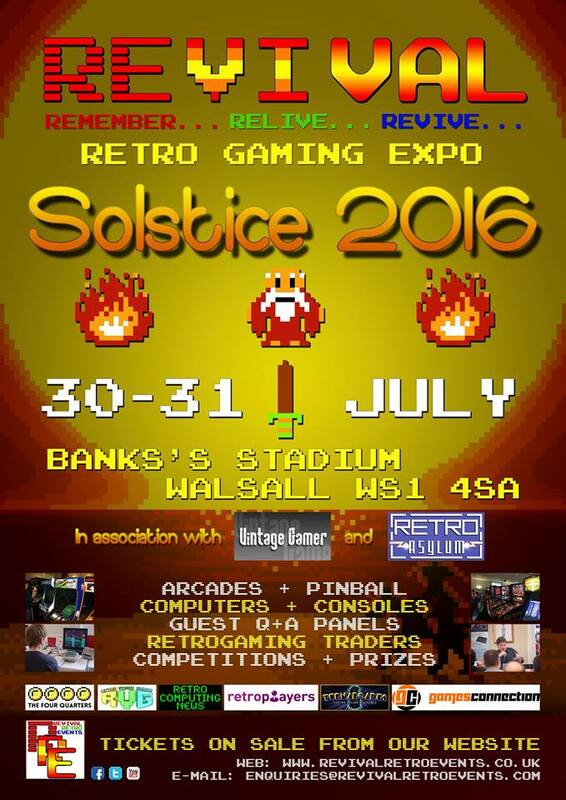 A simple screensaver type application for your Vectrex. Draws patterns on the screen, to the sound of sci-fi bleeps and bloops. As I didn’t have time to write any new Xmas themed games for 2016, I thought I’d make a little festive mod to one of my existing ones. 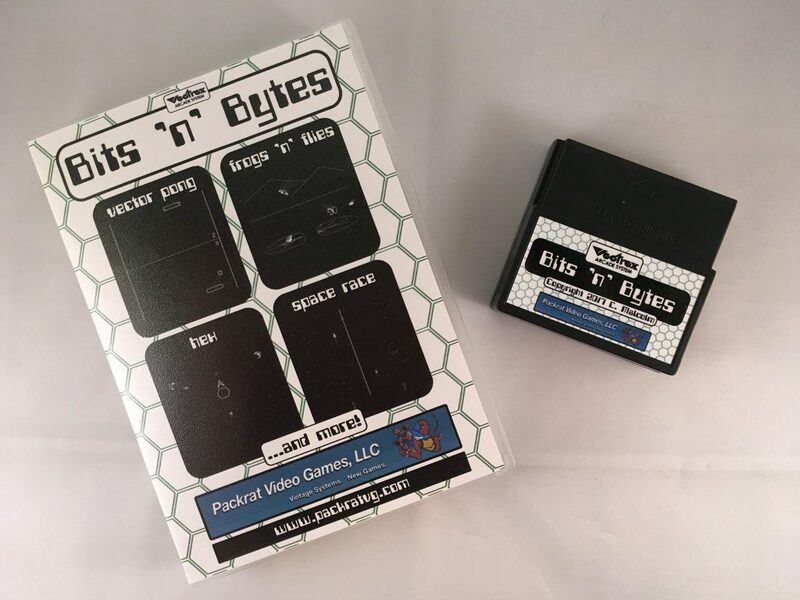 “Xmas Space Race” plays the same as the hidden 2 player game “Space Race“, found on my “Galaxy Wars : Space Launcher” cartridge. 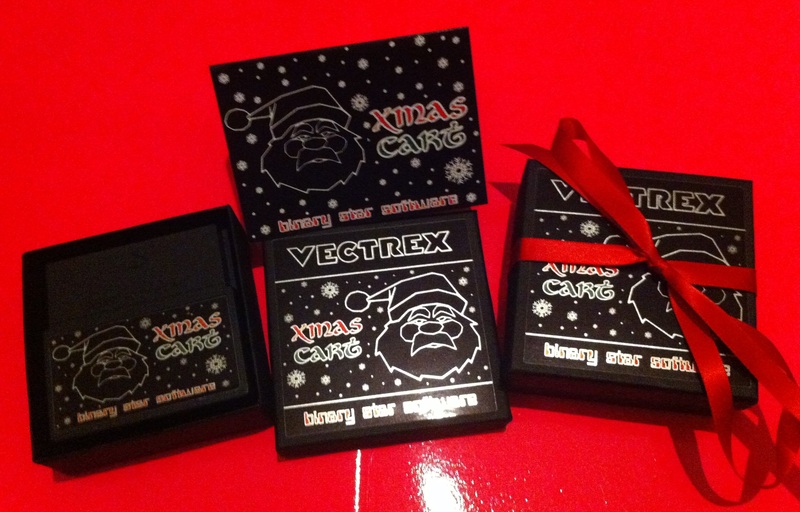 This version adds Christmas trees and a single player mode where you race against the Vectrex! You can adjust the hour by pressing and holding button1 and holding the joystick in the left or right direction to adjust. Minutes are adjusted in the same way with button 2. Button 3 resets the second hand and button 4 toggles minute/second dots on/off. The clock plays one of 13 different pieces of music every hour. Button 4 now toggles second/minute dots on/off. Speed adjust (0-25). Larger values increase clock speed. The first job is to test continuity on the pins on the joystick connector with a multimeter to identify which coloured wires to use. 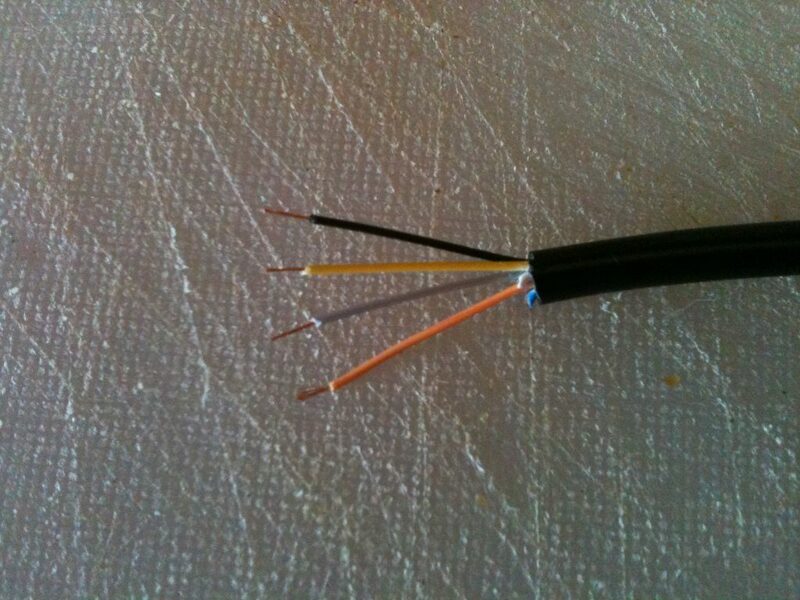 Next we isolate these wires and strip them for soldering to the plug. 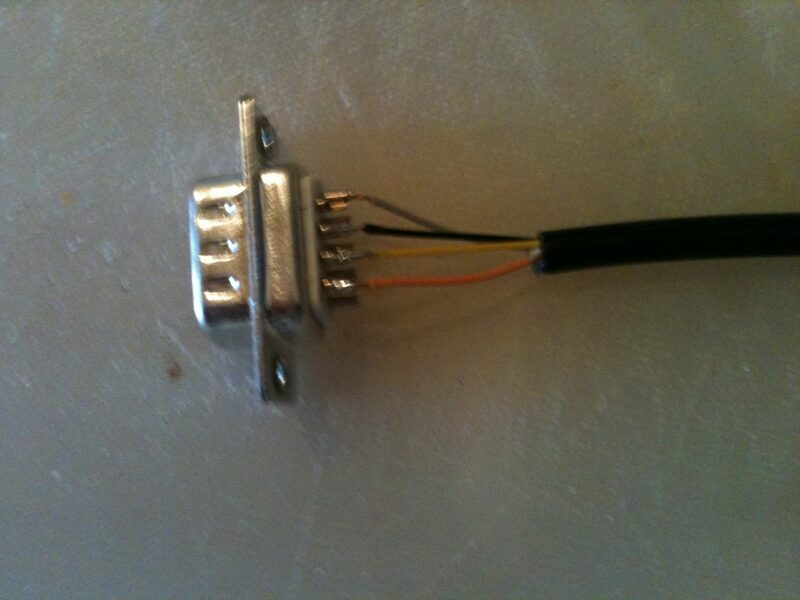 On the plug, we solder to pins 5,6,7 and 8 using the pin mapping listed above. 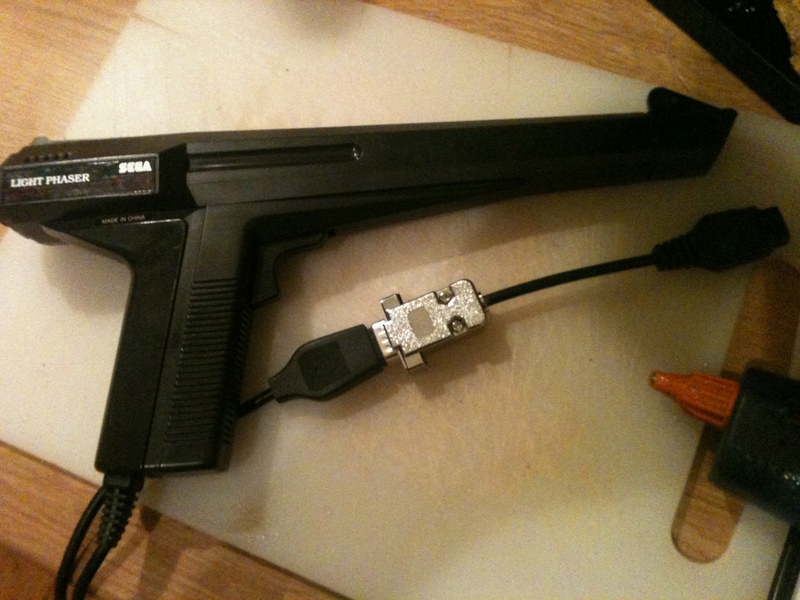 Once soldering is complete, you should attach the DB9 hood and test the lightgun is working on the Vectrex. 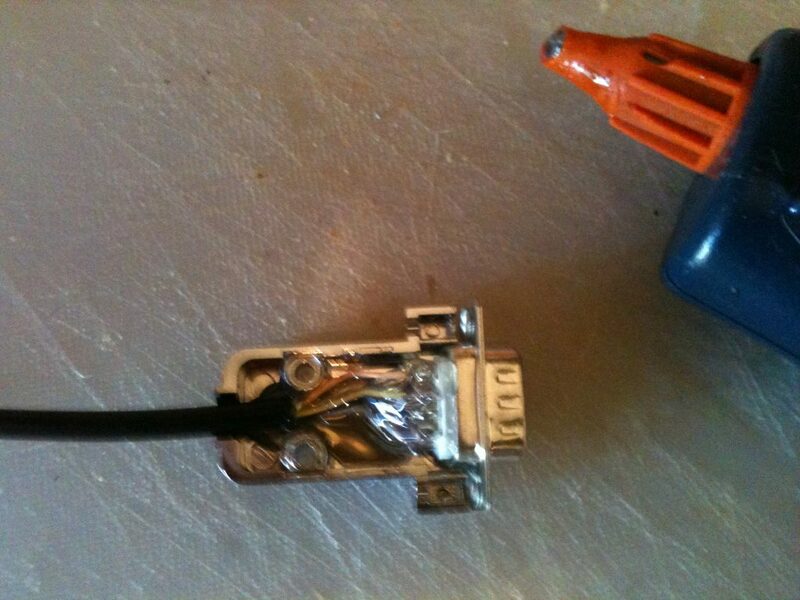 You may need to cut away part of the plastic connector with a craft knife to allow the connector to properly insert into the Vectrex. 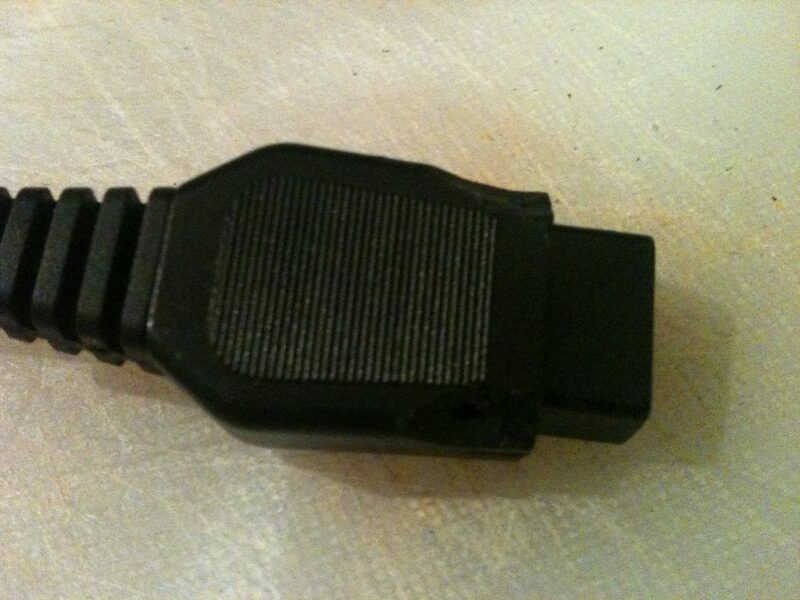 If you are unsure how to cut it, refer to the standard Vectrex connector shape. If it is not working as expected, check pin-mapping and continuity with a multimeter and correct any mistakes made. If working successfully with Vectrex, remove the top of the DB9 hood, add hot glue to hold the connections and attach the hood again. 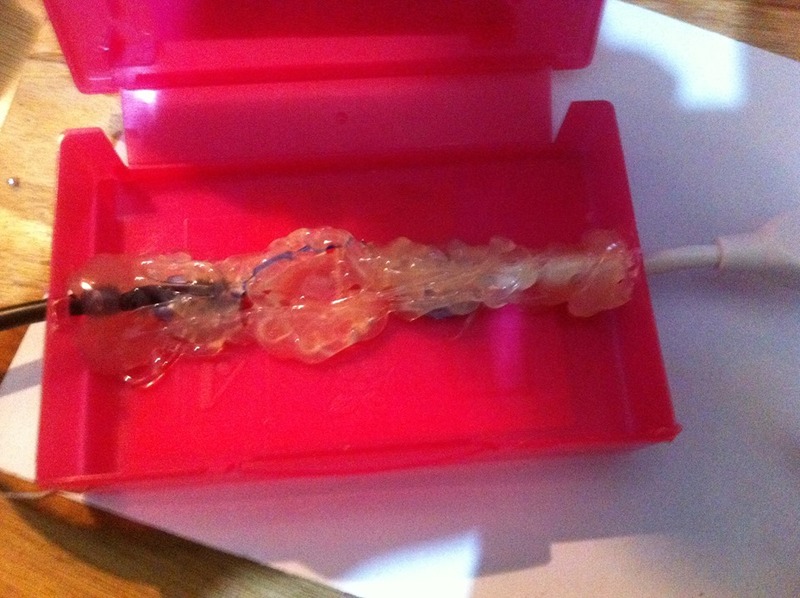 Leave the glue to solidify for a few hours and then enjoy your new lightgun adapter! 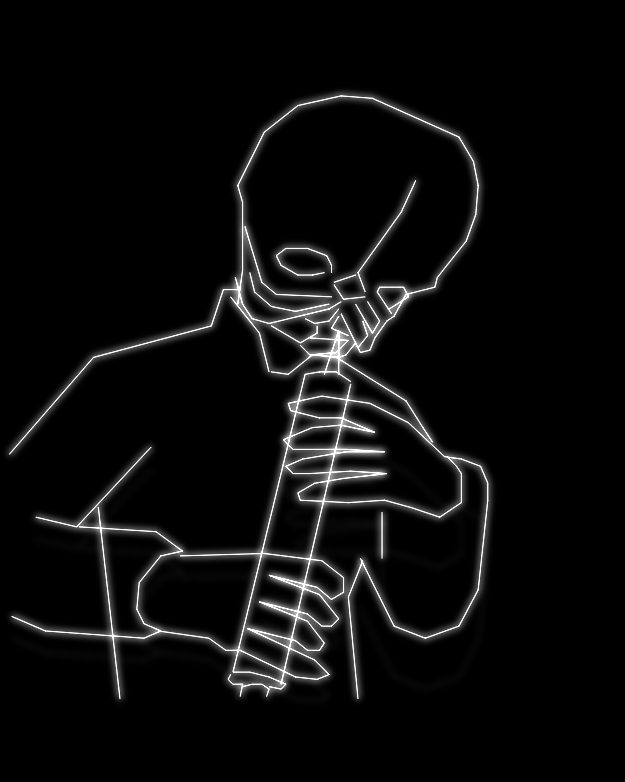 Just for fun, I made a quick version of the Cantina band music from Star Wars. Download link below the video.